Regulalry updated news of what's happening in the Alfa Romeo Owners Club. Until the end of May, new members joining at an AROC live event can save themselves £7.50! To take advantage of this offer, simply download and print the voucher from the link on the right and present it to an official at the Club stand. The £7.50 joining fee will be waived! Welcome aboard. To view a list of forthcoming Club events, view the AROC Diary. After a successful conclusion, the AROC Sprint Series returns in 2011. The series offers a cost effective and easy way to bring your Alfa Romeo to the track and compete against other drivers in an informal, friendly and competitive series. The championship will be run as a series of events focusing on grass roots competition with minimal risk on circuits around the country. Chris Knott, administrators of AROC Insurance have launched a new online magazine to bring motoring news, car featurs, club profiles,product reviews and much more to their regular customers. Hello and welcome to my newsletter. I am sure some of you are still working your way through the August edition of the magazine, but just to bring you up to date with the latest Club news and events. A photo shoot for AutoItalia graces the cover of the October issue of the AROC magazine, Alfa Romeo Driver. 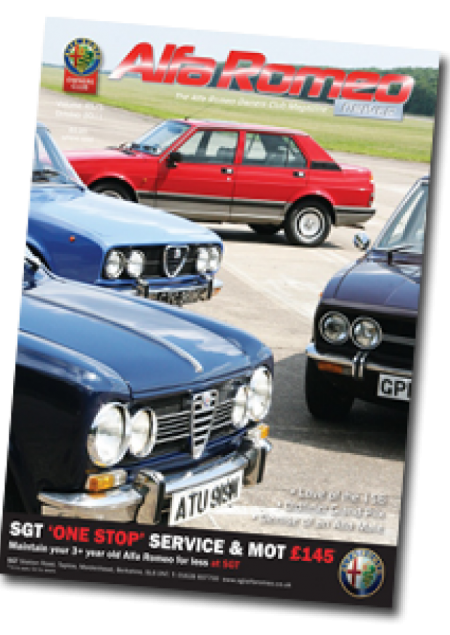 Inside a member tells us about "The demise of an Alfa Male", Andrew Brown details his love of the 156, we visit the Nurburgring Oldtimer Grand Prix and Taxi Driver tells how "Rain stopped the Scallywags". This plus all the regular features make it the usual can't put down reading. 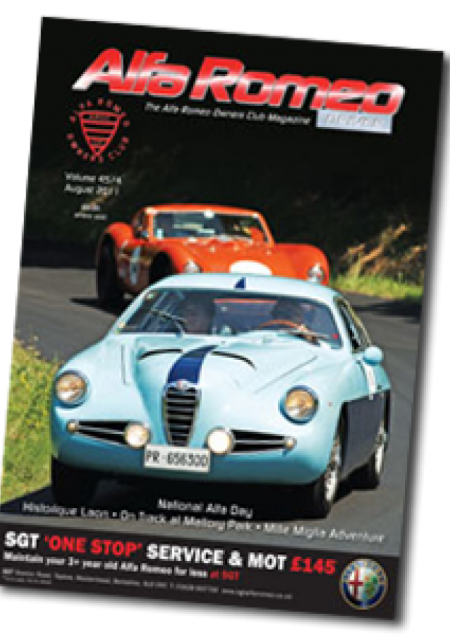 The Zarenghi Alfa 1900 SSZ captured by Peter Collins at the Vernasca Silver Flag Hillclimb adorns the cover of our August issue. Inside members relate their adventures on Historique Laon and the Mille Miglia. And of course in addition to our usual Competition News there is a full report of AROC's return to full racing action at the Autoglym Classic Festival at Mallory Park. The Cole family also describes life in and out of competition with "Sybil". News from our Liverpool Taxi Driver sees him joining the "police". Welcome to the AROC April 2011 newsletter, conatining news from aea sections throughout the UK. Welcome to the AROC January 2010 newsletter, conatining news from aea sections throughout the UK. Christmas is coming and we have lots of great gift ideas at AROCShop.co.uk. Order online or by telephone on 01536 713227.